If you're not able to solder or simply don't have the time - this is the Synth Controller completely assembled and tested. The faceplate of your edition is included of course! You do not have to order it separately. The edition PH-800 includes the HWK-800 sticker for the Poly-800 for free. Update 2019: the faceplates now got bigger holes and the knobs are thinner. It is now possible to simply throw another faceplate over the knobs without having to get them off. 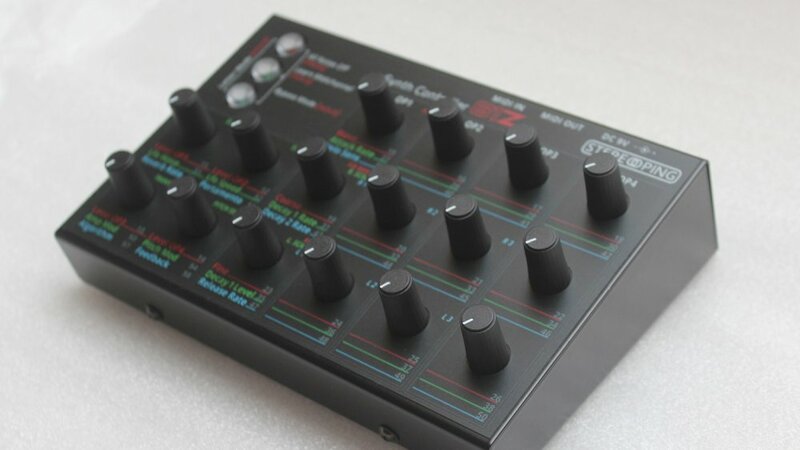 For the 'old' Synth Controller with the big knobs there is areplacement kit available. (It's also possible to get the Controller with the 'old' knobs in grey or black if you prefer).